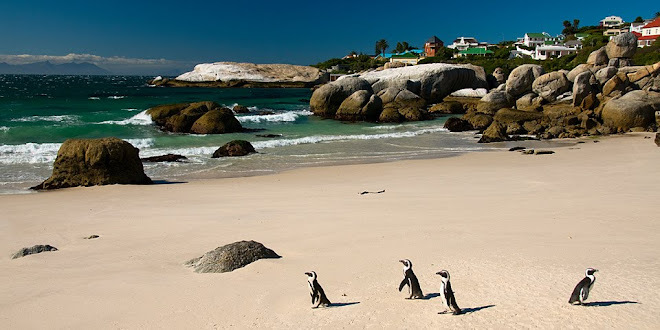 This morning, I said farewell to a few more Oasis people as they departed Cape Town, and I left with a girl named Chiaki for a tour we had booked to some of the sites around the Cape Peninsula to the south of the city. 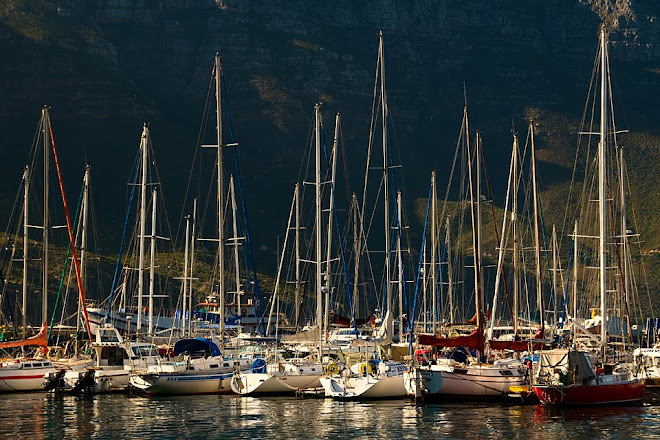 We boarded the bus and in half an hour we arrived in Hout Bay on the western coast. Some of the passengers boarded a ferry to a nearby island to view a seal colony, but since we had both seen the massive colony at Cape Cross in Namibia, we decided to stay behind and walk along the waterfront. 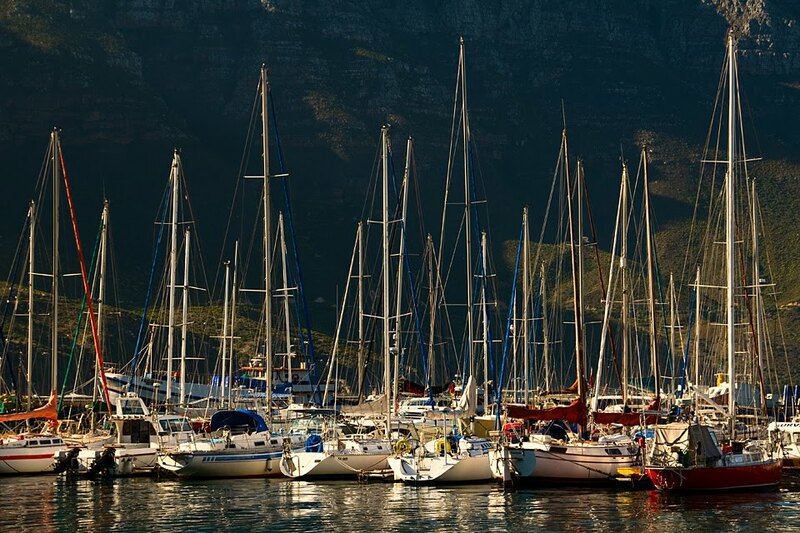 Fishing boats crowded the harbor, their tall masts dwarfed by the sheer cliffs on the other side of the small bay. I spent an hour photographing some of the fascinating colors and details of the boats, some of them dilapidated and painted with vivid streaks of rust. 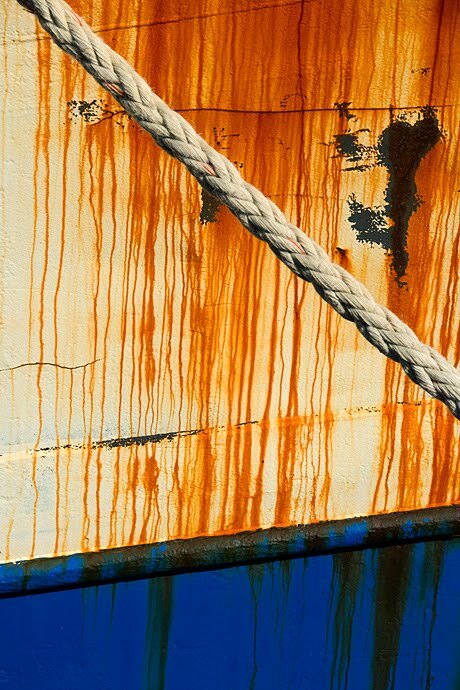 Rust drips down the side of a boat, Hout Bay, Cape Peninsula, South Africa. 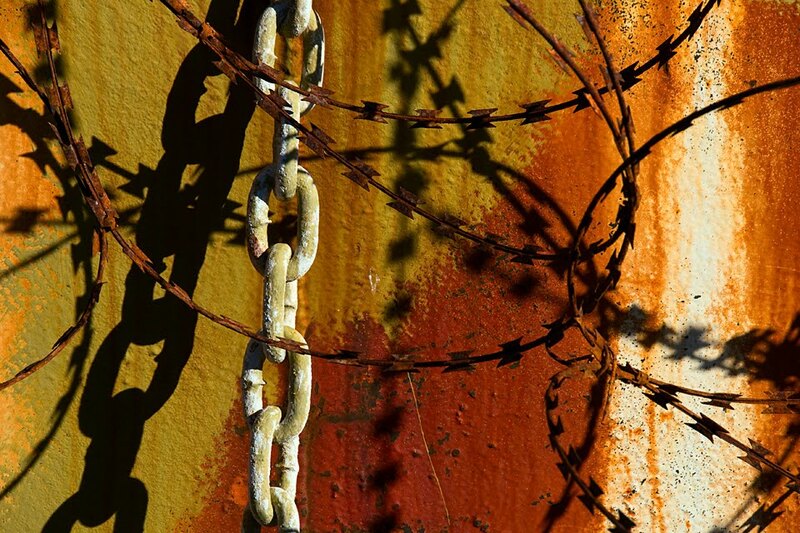 A chain and tangles of barbed wire create shadows on a rusty boat, Hout Bay, Cape Peninsula, South Africa. 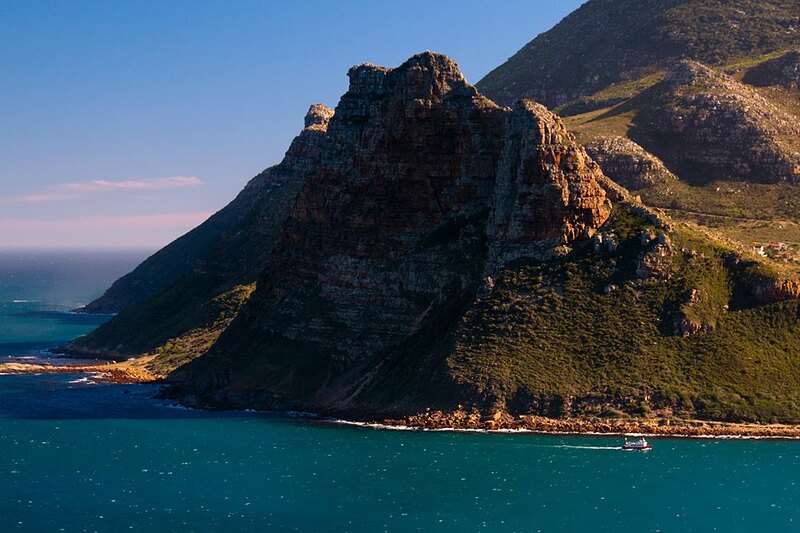 When the bus departed again, we drove up Chapman's Peak Drive to those high cliffs that towered over the calm water. At the edge of the bay, a majestic promontory known as the Sentinel loomed over a boat as it skirted the rugged shore. Seen from Chapman's Peak Drive, the Sentinel looms over Hout Bay on the Cape Peninsula near Cape Town, South Africa. 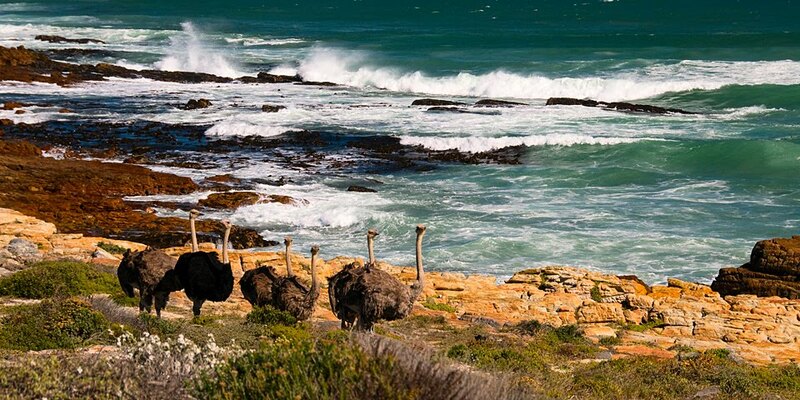 Crossing the Cape Peninsula to the eastern coast, we arrived at Boulders Bay in about an hour. 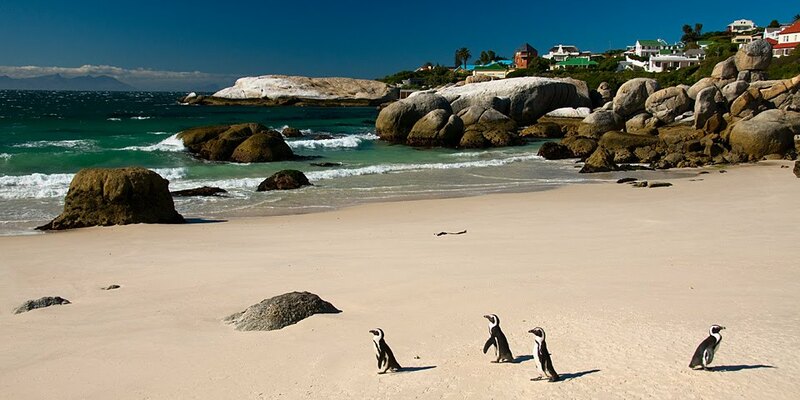 The attraction here is the colony of adorable African penguins on picturesque Foxy Beach. 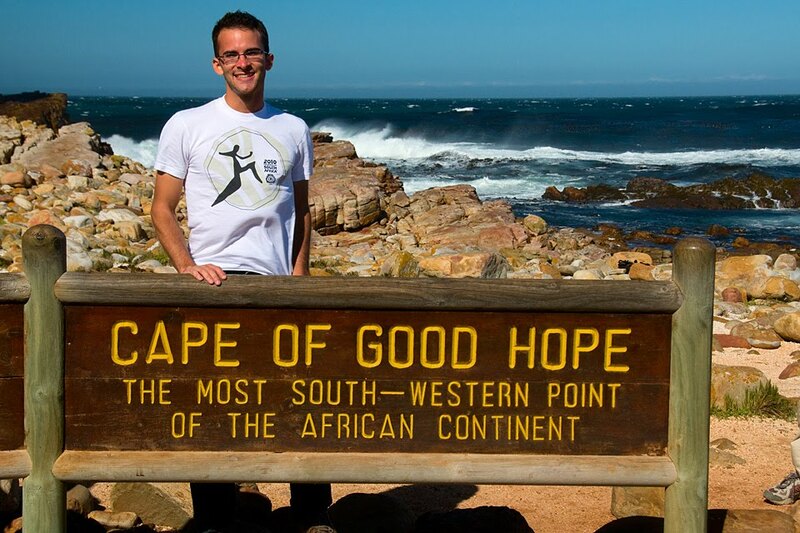 Our final stop of the tour was twenty minutes to the south – the Cape of Good Hope. 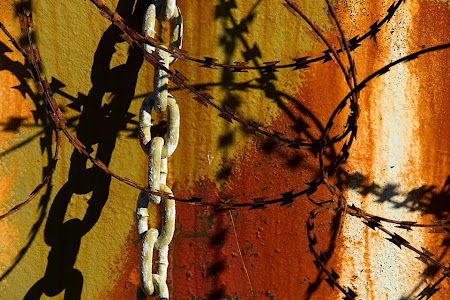 We hopped on bicycles and rode along the roads past the beautifully rugged terrain. 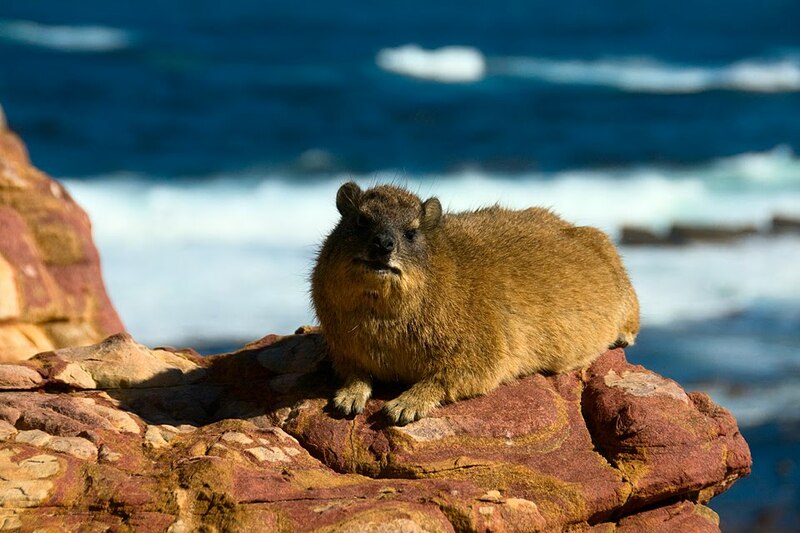 At times, the powerful wind that plagues the Cape hindered our progress. We made it to the visitor center, where we ate lunch before continuing to the Cape of Good Hope itself. As we approached the coastline, the gusts of wind intensified even more, and the waves crashed with great force on the jagged rocks. 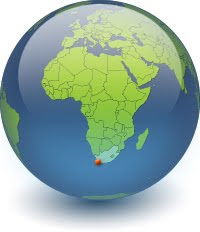 This is the most southwestern point in Africa – it used to be considered the southern tip of the continent, but with the development of better mapping techniques, Cape Agulhas a bit further to the east was found to extend further south. 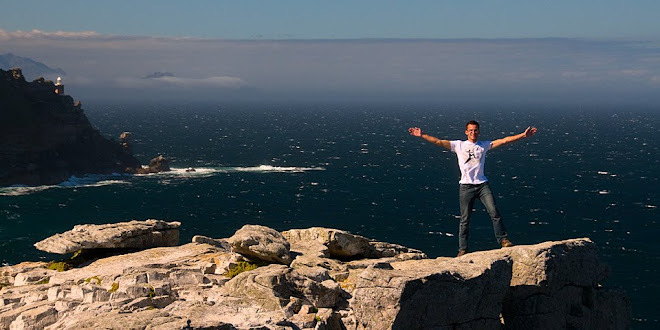 For an hour, we hiked along the rocky coastline around Cape Point and admired small sections of beach sheltered from the wind by soaring cliffs. From the Cape of Good Hope, it took just over an hour to get back to Cape Town, where I said farewell to Chiaki as she left for the airport. It was now only me and one other girl, Amy, remaining in Cape Town. We went out to a nearby Thai restaurant for dinner, and then I relaxed the rest of the evening.